Look at David’s confidence as he declares, “I shall dwell.” He understood this was not a temporary visit, but that he would be at home “in the house of the Lord.” He knew he was moving into what Jesus called “my Father’s house” (John 14:2). The Bible gives us many clues about heaven, and they all add up to this great idea: We’re going home! We will finally be where we were designed to spend eternity. Heaven was made for God’s children, and we were made for it. What Revelation 21:1 calls “a new heaven and a new earth” isn’t some alternative plan God worked out when humans fell into sin. Heaven was the plan and destination for believers all along. No relationships are more important than the relationships at home. And if you'll dedicate the time and equip yourself with the necessary tools, you can see these relationships grow stronger day by day. Because no matter what condition your family is in, no matter how your spouse feels about your relationship, it's never too late to break new ground and start doing things God's way. 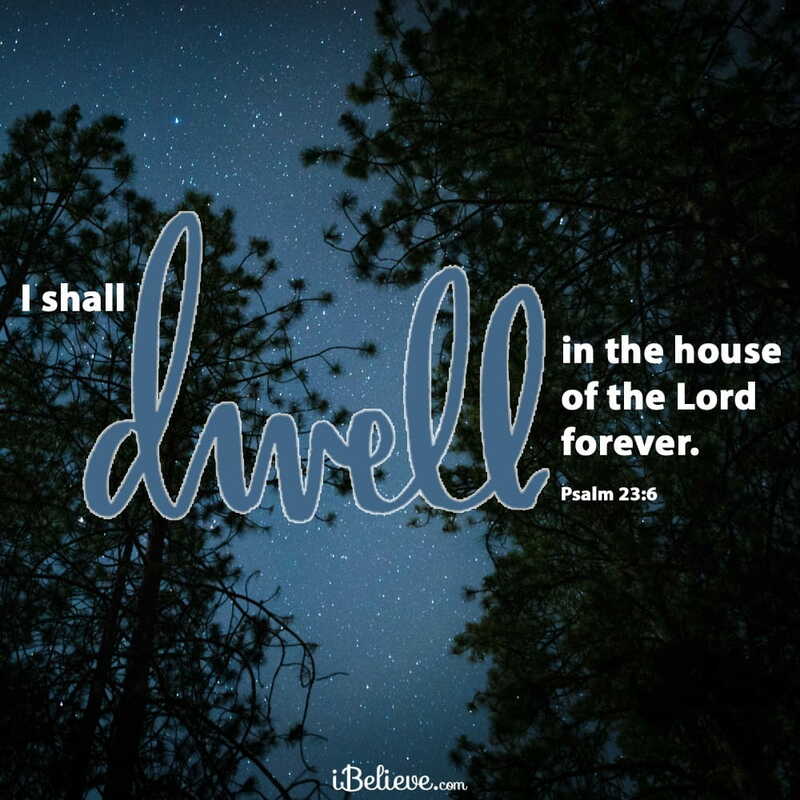 Father, thank You for the hope and comfort it gives me when You say Your children will live in Your house forever. Help me rejoice in Your plans even when mine are different or I don’t understand Yours. Thank You for always being good and merciful. Thank You that I can trust You while I walk through this life, eager for the day when I get to go home and be finally and forever with You. Thank You for the gift of Your Son, whose sacrifice makes this possible. It’s in His mighty name I pray, Amen. Editor’s Note: Content taken from the Our Journey Online devotional, Almost Home, written by James MacDonald. You can read that piece in full here. All rights reserved.